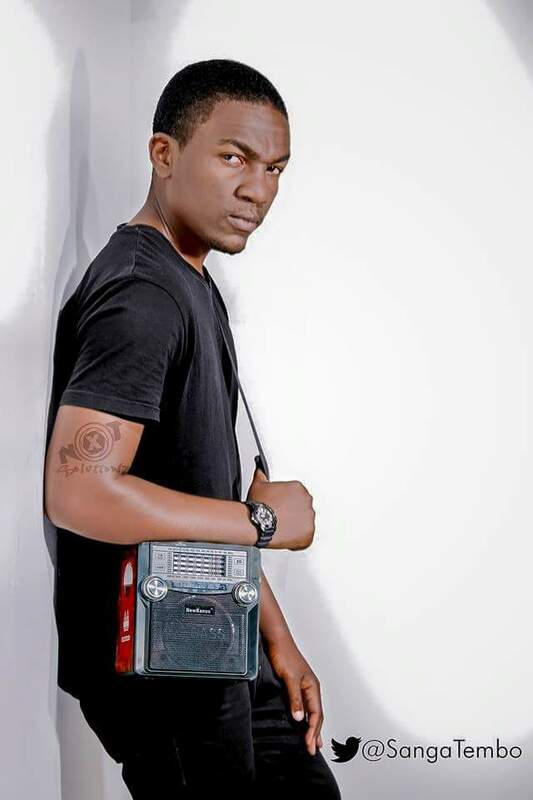 Sanga Tembo is a Zambian Radio Personality, Publicist (NXTSolutionz), Voice-over Artist, Events DJ and Audio Producer born January, 28th, 1989 in Ndola City on the Copperbelt. Growing up in Ndola’s Masala Township around Hiphop and other genres, sharing music and his opinion of it with people on notable platforms, was always a dream he had, which came to fruition on January 28th, 2012 when he met Steve ‘So Sick’ N’cube then DJ and Producer at Chishala ‘Geshgroove’ Chitoshi Jr’s Radio Station Flava FM in Kitwe on the Copperbelt. Steve saw potential in him and would then facilitate for Sanga to co-present on a Weekend Youth Radio Show called the Barometer hosted by Mulenga ‘Sunshine’ Chapewa, this opportunity gave him confidence to take up Radio Presenting as a career. 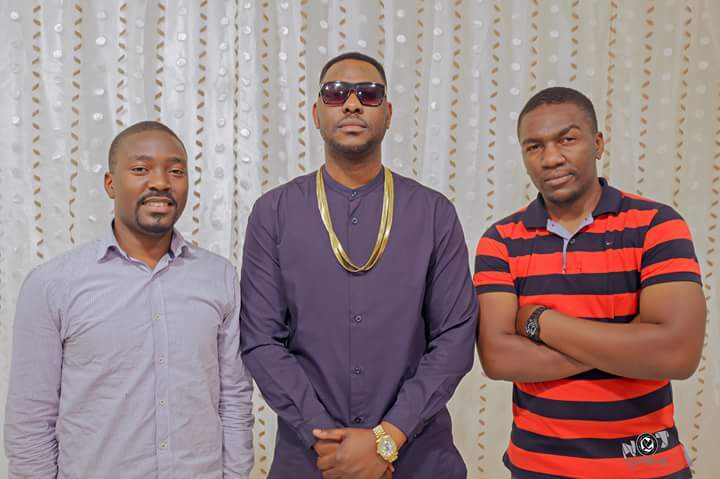 Sanga co-presented on Flava FM’s “The Barometer Show” for a month before moving back to Ndola where he learnt of an audition advertised by Radio Phoenix, who took him on professionally on October 4th, 2012, where he created a Hiphop Show called EarDrum. He hosted the show until March 2014, when he took a break to go to school. 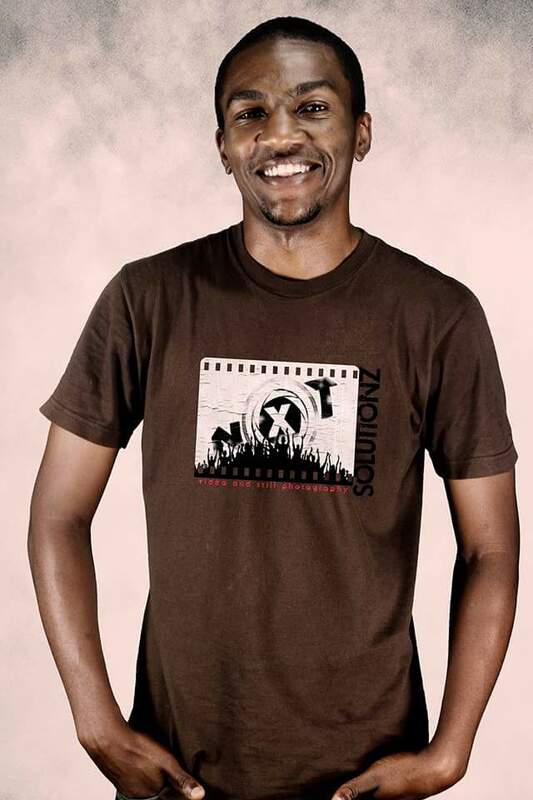 He went on to pitched the show to ZNBC RADIO 4 (88.1MHz) where he currently hosts it on THURSDAY NIGHTS at 22:00HRS. KAPA187: Tell us about yourself. SANGA TEMBO: I’m from a family of 3 grew up in Ndola’s Masala Township. I went to Dzikomo primary school and later Chifubu high school currently at Cavendish university studying mass communication. I’m not a sporty person, so growing up i gravitated towards non sporting activities that were still as entertaining, case in point hiphop a genre of music I’ve been listening to since 1999 with some favorite tracks being Nas’ “you won’t see me tonight”, Camron’s “hey ma” ,Jay Z’s “Song Cry”, and Mase’s “same people”.. all soulful records so hiphop soul is what I listen to most. KAPA187: What made you fall in love with HipHop? SANGA TEMBO: Hip hop’s ability to tell stories in a creative way that almost all dedicated youths can learn, master and in the end possibly reap benefits, is why I fell in love with the genre. It is unifying and relatable plus has many faces to it , hiphop is from the heart, and in that raw emotion rappers tell stories which are instantly captivating to interested listeners. Not forgetting the good beats the rhymes are laid on. KAPA187: Who are some of the radio personalities that inspire you , both locally and internationally ? SANGA TEMBO: Personally I’m inspired by Linzie, Luchi, Scratch, Steve So Sick, Faith Chitulangoma. Internationally ;PJ Butta, Ray Mcdonald, Sway, The Breakfast Club ,etc. KAPA187: For those who are unfamiliar , tell us what your Hiphop show ,EarDrum , is all about ? 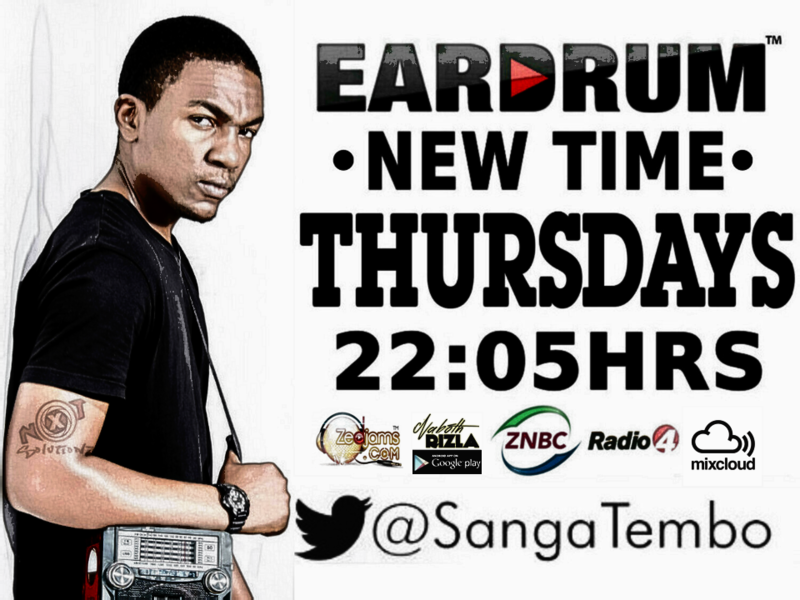 SANGA TEMBO: Hiphop Eardrum is a weekly hiphop radio show airing Thursdays 22hrs on Radio 4FM the show shines light on new and old rap artists poets and youths as passionate about the genre as I am. You can listen to the show online as well at mixcloud.com/sangatembo . KAPA187: How has been the response from the public from the inception of EarDrum upto now? SANGA TEMBO: 2012 to 2014 was when I laid the foundation for this show on Radio phoenix it’s growth has been gradual and right now with the move to radio 4fm thanks to Dj dazzle and linzie’s faith in the programme, I can safely say the response is good both on social media and from people I meet which is truly humbling I’m grateful. KAPA187: On the show you play both local and international Hiphop . Do you feel the local rappers have originality or are they carbon copies of American rappers ? SANGA TEMBO: Some local rappers have originality some are carbon copies ,but you need to understand that hiphop came from USA and so we cannot run away from its influence . Even Canadian rapper ,Drake ,who is on top of the hiphop game right now had to move to the USA to make an impact under lil Wayne before he could go back home ,so there’s no harm in getting inspired by them,just find your own sound while you at it. KAPA187: EarDrum also showcases some spoken word poetry which is rarely heard on local radio stations. What was your inspiration to add it ? SANGA TEMBO: Depth of content in poetry was the inspiration plus rap and poetry go hand in hand, R.A.P in itself is rhythm and poetry…so the mere fact that well recited poetry comes from the heart inspired me to add it to the radio show. KAPA187: HipHop is arguably the dominant genre of music in Zambia .What is it , in your opinion ,that our artistes are doing right , and what do they have to do to take the genre to higher heights ? SANGA TEMBO: Artists in Zambia right now are telling real relatable stories on these rap beats that cannot be told by other traditional genres because of boundaries, lack of subject matter and lyrical limitations. what’s needed to take local hiphop to higher heights is unity among the artists themselves locally. KAPA187: Apart from hosting your HipHop show , you are also a publicist , voice-over artist ,events DJ and Audio producer . How do you manage to balance time and make sure you are putting maximum effort in all activities ? SANGA TEMBO: Audio production fits into my daily programme nicely because I have to produce the radio show every week and I’m currently studying mass communications and public relations which falls in line with my work at nxt solutionz , my side business which is events djaying is also music based so that’s easy for me to fuse in too, as they say do what you love and you’ll never work a day in your life . KAPA187: If you were not in the music/entertainment industry ,what would you be doing ? SANGA TEMBO: I would’ve been a mechanic ,thank God I got kicked out of engineering college due to lack of funds. I feel that was God’s way of telling me to go back to my roots ie hiphop music. SANGA TEMBO: You love something, do it and be consistent at it there’s no time we only live once. Next articleLonger Life, Healthier Life? The sky is the limit semeki, we are proud of you, Raul is blessed to have you for an uncle.